Today’s Reporting Live is brought to you by the Japanese pop-rock band Chelsy. The group was founded in 2011 after vocalist and guitarist MIO, drummer AMI, and bassist SHIZUKA passed an audition hosted by Sony Music and Honey Bee Records. This audition was also supervised by YUI’s producer. The band started to perform all over Japan the following year, first under the name MIO band and then Chelsy. However, the band hit a snag when MIO announced retirement by the summer of 2012. To fill in MIO’s position, the company hired keyboardist ARISA. However, she only stayed in the group for ten months as she left show business on May 2013. By that time, MIO had returned to the band as the lead vocalist and guitarist. From their beginnings to early 2013, the band mostly performed at various types of events. They even hosted a free live concert to capture more fans. 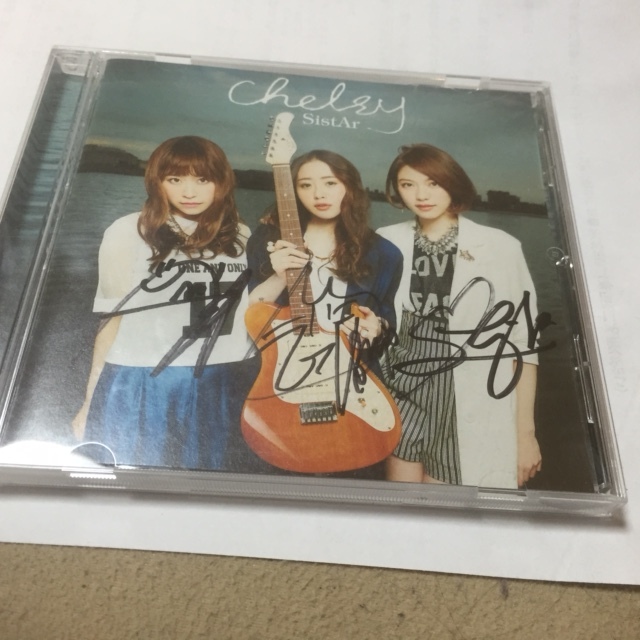 By the spring of 2013, Chelsy finally got to release their first CD, a single named “I’LL BE ON MY WAY”, that was only sold at Shibuya’s Tower Records for a limited time. It was later in the year that they released their major debut single, “I will/Animation”, under the label Being. “I will” was used as an insert song for the anime series AO–HARU–RIDE. 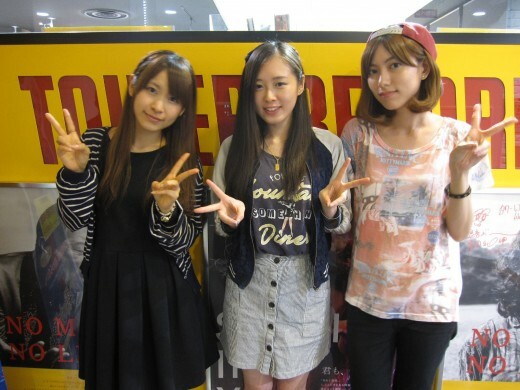 Chelsy arrived to Nagoya to promote their third single, “SistAr”, at Tower Records Nagoya Parco. After checking out the store’s site and the band’s Youtube channel, I decided to check them out after my part-time job on Saturdays. I thought, Hey, why not check them out? They seem cool! while watching the “SistAr” music video. I got to the event space right as MIO started to strum the first notes for their opening song. I can’t find the setlist for that day anywhere online. However, they played a few songs and did a couple talks within a thirty minute period. The atmosphere at the live was pretty much chilled as MIO played and sang, SHIZUKA supported MIO with the bass, and AMI just drummed soothing beats with a cajón. The weather was also perfect that day, making the whole event splendid. After the band performed their last song, MIO announced that they would be starting the meet and sign event soon for anyone who bought a CD. I quickly bought a CD and jumped into the queuing line. It took only ten minutes to line everyone up and prepare for the event. The meet and sign event was pretty relaxed. As I approached the table, I first talked to MIO, then AMI, and finally SHIZUKA. I just chatted with the girls about how I enjoyed their live, where I am from, and thanking them for coming to Nagoya. It ended with them singing the CD and shaking my hand. It sounded short but actually, I was able to talked to each girl for a minute or so. I just forgot all the little details of the conversations. If you are into girl artists or bands like YUI, LoVendoЯ, or Scandal and/or you like pop-rock music, Chelsy is a band you must check out. Their song “SistAr” showcases MIO’s versatile vocals, SHIZUKA’s neat bass skills, and AMI’s on-point drumming. It is a song that is quiet mellow but upbeat at the same time, which will bring a jovial feeling to the listener’s state of mind.